Over the past few years, there has been growing awareness in many countries towards people struggling with learning difficulties and learning disabilities. Around 1.5 million people in the UK struggle with a learning difficulty and statistics point to nearly 15% of Americans being affected. The terms “learning disability” and “learning difficulty” differ in meaning from country to country and are sometimes used interchangeably: for example, the terms “learning disability” or “learning disorder” are both used in the United States, while the UK displays a preference for the term “learning difficulty”. It’s important to be clear about what we mean. In this post, we use the term “learning difficulty” as The Salvesen Mindroom Centre does: “any learning or emotional problem that affects, or substantially affects, a person’s ability to learn, get along with others and follow convention.” Examples include dyslexia, attention deficit hyperactivity disorder (ADHD) and auditory processing disorder (APD). How can educators and schools provide support to students with learning difficulties? Over the years, steady efforts have been made by countries around the world towards inclusion – allowing students with learning difficulties to learn in regular schools. Inclusion is extremely important, benefiting students developmentally as well as socially. There are, of course, certain challenges for teachers. Each student is different, and there is a wide spectrum of learning difficulties that can make the situation even more delicate. A student with dyslexia needs a different support system to a student struggling with ADHD. It, therefore, becomes the teacher’s responsibility to read up on individual symptoms and teaching strategies in order to understand student needs. To help, we’ve compiled a list of five teaching strategies designed to help students with learning difficulties. Each of these can be easily adapted to suit individual needs. So whether you are a teacher looking to better support students with learning difficulties, or a parent looking for some guidance, we hope you find the following list helpful. Often also referred to as “chunking”, this strategy involves breaking down complex information into smaller and simpler parts that are easy for the brain to digest. Chunking is said to relieve the cognitive load on the brain and engage short-term memory in a more efficient manner. Chunking works with any text and subject. You can chunk information by ideas, paragraphs or keywords. You can even chunk your lesson into a list of learning objectives or goals, writing these on the whiteboard so that the students can follow your line of progress. Visual aids are invaluable in teaching all students, especially those struggling with a learning difficulty. The human brain can process images faster and better than it can words. 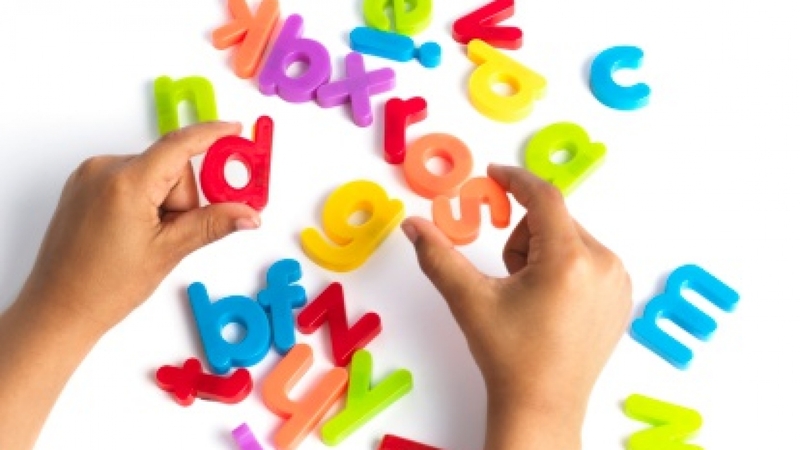 Words are abstract in nature, making them difficult to process, especially for children with learning difficulties. Using images, educational films and other visual aids such as diagrams and charts during lessons can help students build a direct correlation between words and their meanings – making learning much easier and faster. Repetition and revision are key to learning. But repetition can be boring, and focus is often a struggle for children with learning difficulties. That’s where multiple reinforcement tools can help – using different formats to teach the same concept. Generally, the more versatile the mediums are, the better: make them visual, aural and sensory, if possible. For example, for a lesson on how plants transport food, start with an attention-grabbing activity like changing the color of a flower. This will engage students and connect theory to practical knowledge. Follow this with a lesson on food and water transport in plants, supported with colorful images and engaging visuals. To reinforce the knowledge learned, set a quiz or revise the topic with a film. A simple but efficient way of revising or making it easier to learn a new topic. You can review the previous, related lesson, or you can teach something new by connecting it to a previously taught topic and building up the new activity around it. For example, if students already know what plants need to grow, you can work towards a new lesson on tropism. Revision reinforces lessons taught in class, but students may still benefit from learning certain memory techniques to help them remember how one chunk of information relates to another. Mnemonics, mind maps and even simple diagrams can go a long way towards helping children understand and remember information easily. Mnemonics or special phrases have long been used by teachers to help students remember difficult concepts. The mnemonic LAWN, for example, can help students remember that all plants need four things to survive: Light, Air, Water and Nutrients. Mind maps and pie charts represent written information in a more visual format, making information like statistics and proportions easier to remember.